If you’ve used again after a period of recovery, knowing what to do after drug relapse is essential for getting back on track. Addiction is characterized by compulsive drug use despite the negative consequences it causes in your life. Ending an addiction for the long-term almost always requires professional help, because addiction almost always has underlying issues that need to be addressed for successful recovery. Since addiction affects how you think and behave, re-learning healthy thought and behavior patterns is essential for recovery, and developing crucial coping skills for handling stress, cravings, and other triggers helps to ensure long-term success. But treatment doesn’t guarantee you won’t relapse. Knowing what to do after drug relapse is important for ongoing success. So, what is relapse, and how do you know what to do after drug relapse? A lapse, or a slip-up, is the act of using drugs again after a period of sobriety. A slip-up can lead to a relapse of the addiction, which is characterized once again by compulsive drug use. Addiction has relapse rates that are similar to the relapse rates of other chronic diseases like diabetes and heart disease. According to the National Institute on Drug Abuse, around 40 to 60 percent of people will relapse in early recovery. Relapse isn’t the end of the world, and it certainly isn’t the end of recovery. In fact, experts nowadays stress that relapse is a normal part of the recovery process. Just as it takes time to develop an addiction and the dysfunctional thought and behavior patterns that come with it, it takes time to develop the healthy thought and behavior patterns and essential skills that promote long-term recovery. Relapse almost always occurs as the result of a missing skill, such as the inability to cope with cravings or stress. Once you develop that skill, the risk of another relapse is far lower. For some, it takes more than one try to achieve long-term sobriety. 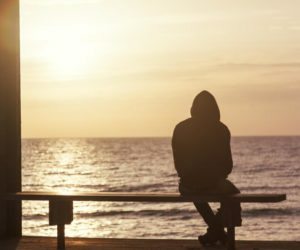 So, what to do after drug relapse? Here are the most important steps to take after a relapse in early recovery. How you approach a relapse will have an impact on how quickly you get back to recovery. Those who approach it with a negative attitude, such as frustration, self-hatred, or guilt, will have a more difficult time getting back on track. But those who approach it with a positive attitude, focusing on the progress made so far, are far more likely to get back on track quickly, stronger and more motivated than ever to make it work. Remember: Relapse is not a personal failure. It’s simply an indication that you’re missing an essential skill. Hanging out with others who use. Not taking care of yourself. Getting back on track requires understanding what led to the relapse and taking steps to develop the missing skills so that it doesn’t happen again. Missing skills may include skills for coping with stress, skills for maintaining positive thoughts, skills for setting boundaries, or skills for taking good care of yourself. Support after a relapse is essential. Falling back into old patterns of thought and behavior is easy if you don’t stay on top of it, and getting support from friends and family members can help you stay better focused on recovery. Social support is central to success, according to the Substance Abuse and Mental Health Services Administration. Recovery isn’t something most people can handle on their own without help from others. In some cases, going back to therapy is crucial for getting back to recovery quickly and successfully. 4. Develop a relapse prevention plan. A relapse prevention plan is a written plan of what you will do to prevent another relapse. Your relapse prevention plan should include attending meetings every day, taking excellent care of your physical and emotional needs, and getting plenty of support from friends, family, and peers in recovery. Relapse occurs in three distinct stages: Emotional relapse, mental relapse, and physical relapse. Knowing the signs of each relapse stage and staying mindful every day so that you can identify the signs when you begin to exhibit them is essential for preventing another relapse. Relapse prevention is a major focus in treatment. A high quality treatment program can help you understand relapse and how it occurs as well as how to know what to do after drug relapse. Treatment is essential for successful recovery in most cases, and it can help you end your addiction, reclaim your life, and restore your sense of well-being once and for all.